Canada’s best hot springs are concentrated in the western provinces, namely Alberta and British Columbia, where subterranean thermal activity is part of the mountainous terrain throughout the region. Some of these naturally-occurring springs are popular vacation destinations, while others are more remote and cannot be so readily accessed. Here are some of the most beautiful hot springs to experience in Canada. 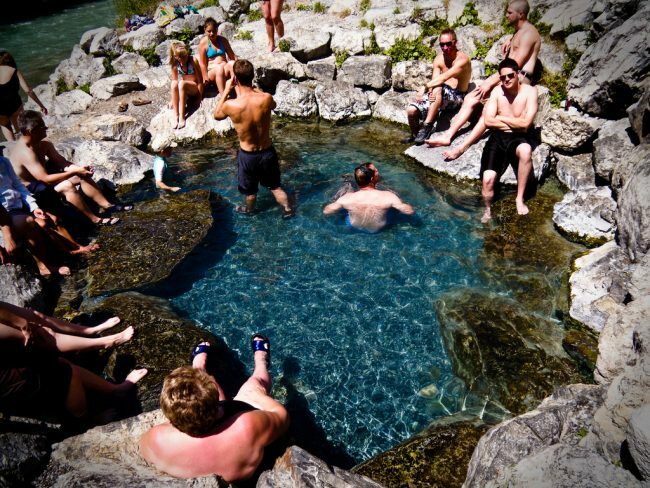 First encountered by European settlers in 1884, Banff Upper Hot Springs in Alberta are part of Banff National Park—the oldest national park in Canada. 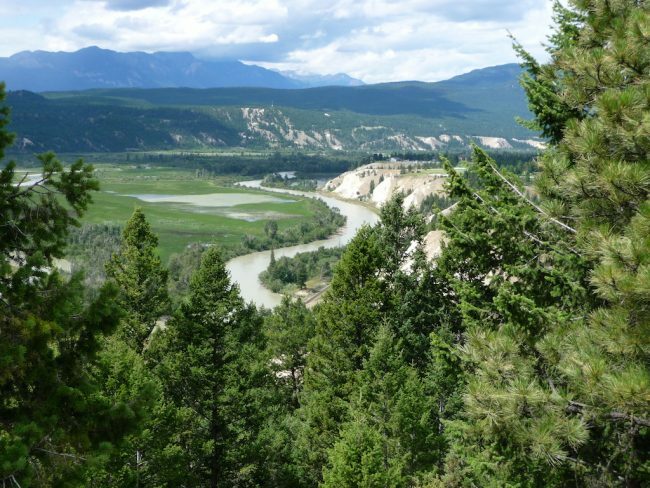 Located in the Rocky Mountains west of Calgary, the water is generally kept between 37°C and 40°C and is naturally infused with sulfates, magnesium, calcium, bicarbonate, and sodium. 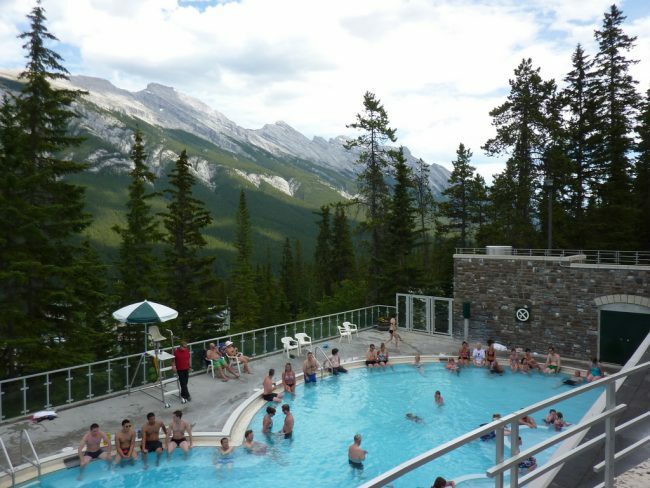 The Miette Hot Springs are the hottest springs that can be found in the Canadian Rockies. Located in Jasper National Park, the water flows at 53.9°C and is cooled to around 39°C. As early as the mid-1800s, the springs were visited by employees of the historic Hudson’s Bay Company and the North West Company, who learned of them through local indigenous populations. With temperatures ranging from 42 to 52°C, this is the largest natural hot spring in Canada. Amenities include wheelchair access, change houses, a playground, and an environmentally-friendly compost outhouse. The pool is located inside Liard River Hot Springs Provincial Park. Prophet River Hotsprings Provincial Park can be found about 60 kilometres west of the Alaska Highway, and about 250 kilometres northwest of Fort St. John. Note that these hot springs cannot be reached by road; instead, visitors need to hike or ride in on horses—or otherwise, come by helicopter. The scenic setting makes the extra effort worth it. The remote Hot Springs Cove is located on Vancouver Island, at Maquinna Marine Provincial Park. This is only accessible by air or sea, and visitors additionally have to hike two kilometres further to reach the hot springs. The cove is composed of a sequence of 47°C natural hot pools that are cooled by the Pacific Ocean. The Ahousat Hot Springs can be found on the shores of Matilda Inlet, on the south side of Flores Island, in Gibson Marine Provincial Park. The natural spring flows up into a concrete tank and is clear and tasteless with a maximum temperature of 25°C. From the springs, visitors can also access the beaches of nearby Whitesand Cove via a historic and non-maintained natural route. Wilderness, backcountry or walk-in camping is permitted around the springs. The Frizzell Hot Springs is a privately-owned area situated on the southern bank of the Skeena River, near Prince Rupert. The spring is extremely difficult to get to and is only accessible by boat during high tide. Conveniently located less than two hours from Vancouver, the Fraser Valley town of Harrison Hot Springs, less than two hours from Vancouver, is home to two natural hot springs: Potash Springs (40°C), and Sulphur Springs (62°C), which are then cooled and mixed into a public mineral hot springs pool to a relaxing temperature of 38°C. On the shores of Arrow Lake near Revelstoke, Halcyon Hot Springs Village & Resort has four pools: a hot 40°C pool, a 30°C mineral pool, and a 13°C plunge pool. Visitors can also take a dip in the refreshingly cool waters of Arrow Lake nearby. 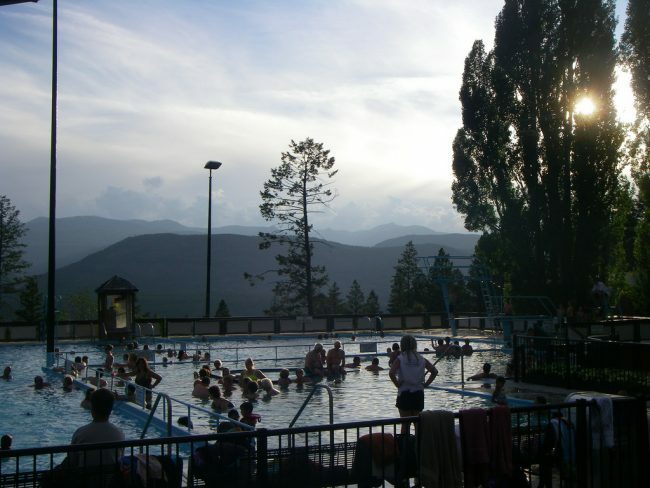 Located in Whiteswan Lake Provincial Park in the Kootenays, between Invermere and Kimberley, the Lussier Hot Springs involve a cooler pool of around 34°C and a main hot pool that reaches a steamy 43°C. The water cools as it flows through the rest of the pools towards the Lussier River. It’s an underdeveloped, natural spot, popular among hikers and campers trekking through the Lussier Gorge. Located in Albert Canyon between Glacier and Mount Revelstoke National Parks, the mineral waters that are now known as Canyon Hot Springs were supposedly discovered by railway workmen at the turn of the century. They have since been transformed into two luxury pools that are used year-round by skiers, hikers and campers. 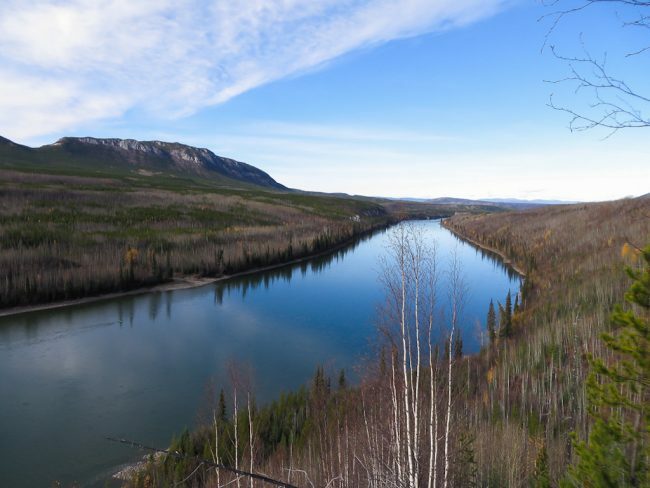 In the surrounding area, there is a campground and RV Park, and overnight accommodation is offered in rustic chalets, log cabins, and one and two bedroom suites. Hiking, fishing, whitewater rafting, trail riding, golf, mountain climbing, and boating are also popular activities throughout the area. 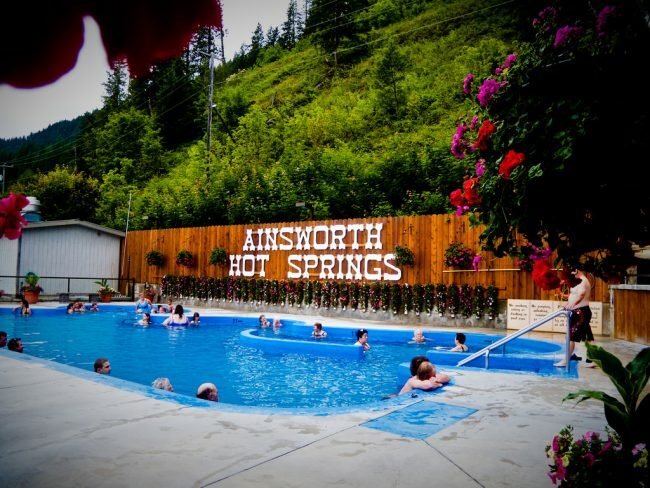 The Ainsworth Hot Springs are located in a tiny village by the same name. The local resort encompasses a 150ft horseshoe cave pool with 42°C water, along with a large lounging pool and a stream-fed cold plunge. 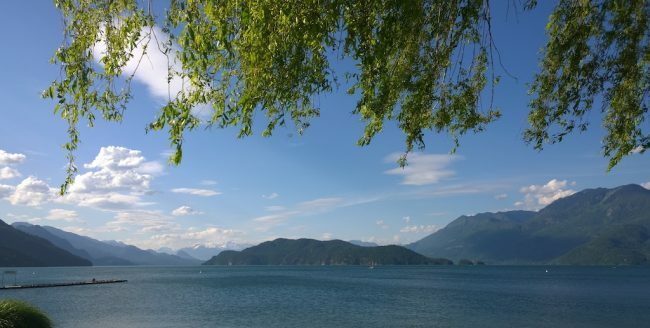 A nearby full-service restaurant provides generous views of Kootenay Lake, and there are also spa services available. The Dewar Creek hot springs are within the Purcell Wilderness Conservancy Provincial Park, near Kimberly. They are only accessible by horseback or hiking, but they are a lovely spot for their natural seclusion. Many of the pools are too hot for bathing, reaching temperatures above 80°C. The Nakusp Hot Springs are a community-owned facility in a region home to multiple natural pools and springs. Here, the water is 54°C as it flows from the ground, but it is regulated through two pools that maintain temperatures between 32°C and 40°C (depending on the season). The waters contain more than 11 minerals, including silica, calcium, sulphates, and sodium. The Fairmont Hot Springs Resort is located 27 kilometres southeast of Invermere in British Columbia. These are Canada’s largest thermal springs, with clear, odourless water. Every day, around 1.5 million gallons of mineral-rich hot water from the Columbia Valley flow into three pools: a 30°C dive pool, a 32°C swimming pool, and a 39°C hot pool. Located in Sinclair Canyon just beyond Kootenay National Park, the odourless, geothermal Radium Hot Springs consist of two pools. One is a relaxing 25-metre pool that is kept at 27°C, and the larger swimming pool reaches up to 39°C. There is also an on-site spa. The surrounding town has a population of around 800, and there are different attractions and activities for visitors to explore.